Downriver Council for the Arts in partnership with American Indian Services presents Native American Art. 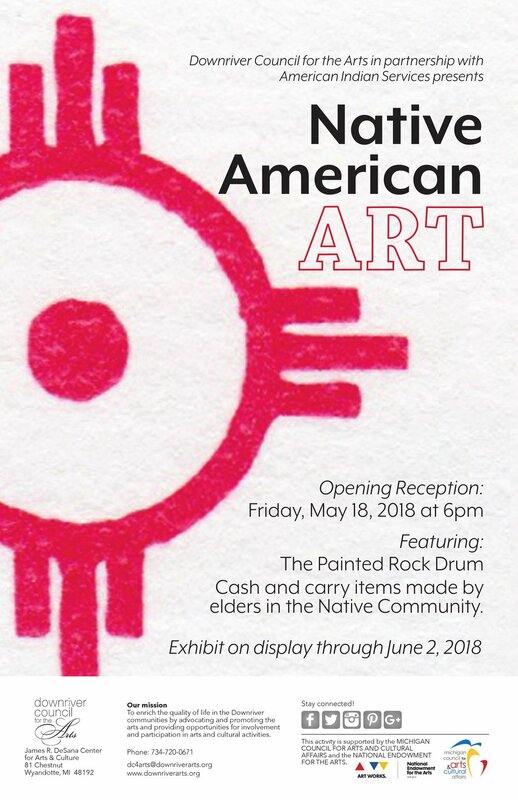 Opening Reception: Friday, May 18, 2018 at 6pm. Featuring: The Painted Rock Drum, Cash and carry items made by elders in the Native Community.